Another Bushwick bar bites the dust... The story is a really overplayed and a sad one. 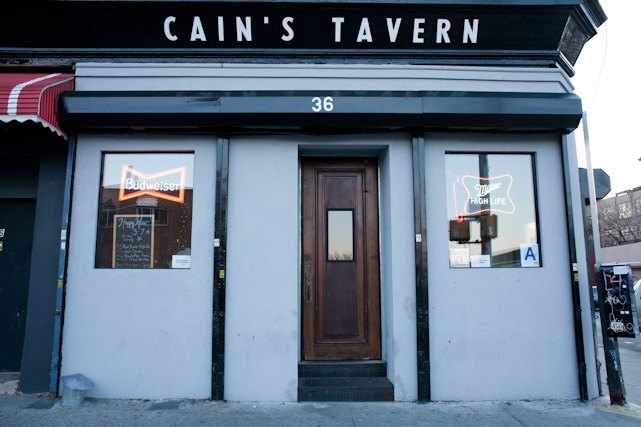 Cain's Tavern (36 Wilson Ave) just emailed us that they will be closing at the end of August because their landlord is requesting a 500% increase in rent, which they cannot afford. The owners are currently looking for a new location for their bar; they didn't rule Bushwick entirely out. "We are keeping our options open," said Aaron Augenblick who co-owns the bar with his wife, Stevie Cain. 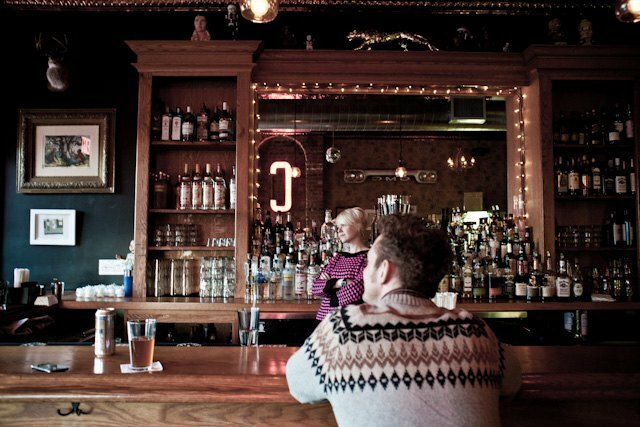 Cain's Tavern opened in 2011, with the intent to serve the neighborhood as an unpretentious drinker's bar. They don't serve any fancy artisanal drinks or cocktails. To the contrary, they are well-known for their $5 'Breakfast of Champions' special, which contains a can of Budweiser, a pickle (spicy or garlic), Slim Jim and chips (Lays or Doritos). The questions that immediately pop up in our heads are: Is this particular Bushwick location worth 500% rent increase? Is Bushwick worth 500% rent increase? Does the Cain's landlord have a tenant who will be able to swing the rent, or is it all just a hopeful game? We are very sad to announce that Cain's Tavern will be closing at the end of August. After 5 years, Our landlords have decided to to raise our rent 500%, forcing us to relocate. We are scoping out spots now. Thank you to the neighborhood of Bushwick for making every moment of the last five years worth it. Thank you to the other Bushwick bars and restaurants for being so damn cool. Thank you to our Cain's family (you know who you are). You are the most fun, most loyal, most drunk, most amazing group of people ever. Thanks Mojo and Eulas for kicking out the jams. Thanks Kellan and Hornblas for holding it down. And finally, thank you to our bartenders Dave, Luke, Doug, and Jared. There is no language to express our love and gratitude to all of you. You are the reason this bar was able to exist. You are the heart and we are humbled by you. t's been a privilege and a pleasure to serve you all. We're fully operational until our last night on Saturday Aug 22nd. Let's all party 'til the wheels fall off.